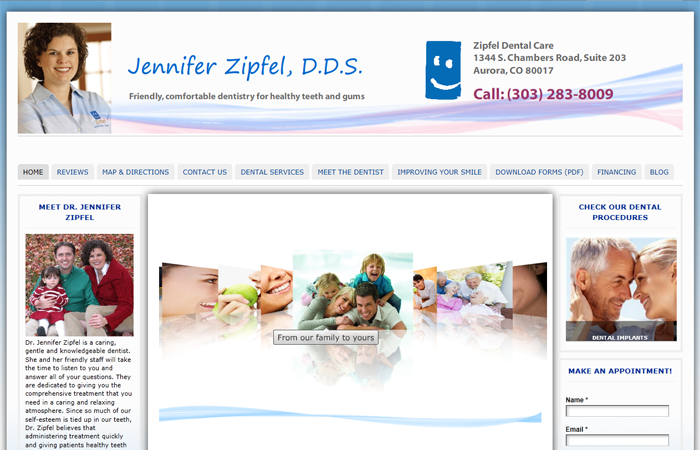 Zipfel’s Gentle Dentistry is located in Aurora, CO. They provide a comfortable, relaxing and friendly environment and high quality, professional dental services from cleaning and maintenance to full mouth restoration procedures. As an Aurora family practice, they service all ages and take pride in their results.